World’s No. 1 selling. Double-crimp for extra strength. Guaranteed not to burst. Indulge a little every day. Enjoy Melitta’s award winning coffee. 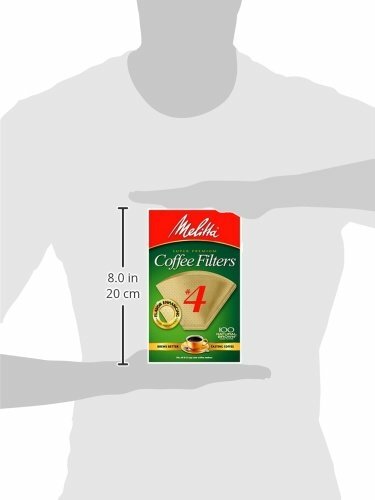 There is no secret to why Melitta Coffee has been judged the best ground coffee in America every year since 1997. Made from nature’s highest quality coffee beans, Melitta uses only high altitude 100% arabica beans that are handpicked from the mountains of Central and South America. We roast our beans in small batches and then grind them extra fine to unlock their delicate flavor and aroma. Indulge yourself a little everyday with the uniquely rich and velvety smooth taste of Melitta Coffee. Quality Institute International – Gold Medal Winner. American Culinary Institute. 2004 Best Product award. No. 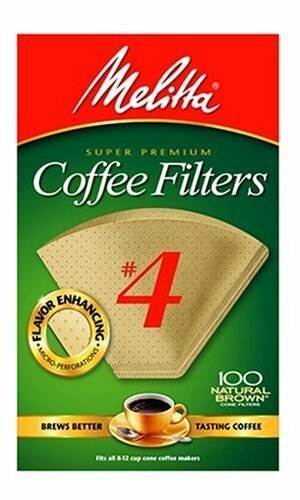 4 (100) Cone coffee filters fits all coffeemakers that use a No. 4 size filter cone. Made in U.S.A. This is a good filter pack, I have used them myself, but you can get much cheaper brands at various dollar stores.